Greencore Group – a convenience foods producer catering to Marks & Spencer, Asda, Waitrose, Tesco, Morrisons and Sainsbury’s – has refreshed its on-premises IT infrastructure with a fully managed software-defined datacentre service to accelerate its plans for expansion. Greencore's main territory is the UK and the company generates £1.2bn annual revenues and employs 11,000 staff. But it’s main business objectives are to better integrate the businesses it has bought; enhance existing profit margins in the UK; expand into new international markets such as the US; and foray into new channels such as ‘food to go’, said Christopher Smith, the head of infrastructure at Greencore Group. Speaking at an event titled The New Cloud Economics, organised by enterprise storage provider EMC and managed service provider Adapt, Smith said that the company’s on-premises IT was not capable of helping it achieve its core business objectives. The IT team assessed its existing on-premises IT. It found that its client IT estate and Citrix IT estate were both managed in-house as was its collaboration tools, local area network (LAN) and telephony infrastructure. “In addition, our datacentre infrastructure was managed by ourselves and was turning out to be expensive,” Smith said. The IT team wanted to move from this state of affairs to a future IT estate where its client IT, Citrix estates and telephony will be managed services, its collaboration tools will be cloud-based and its complete datacentre infrastructure will be outsourced and managed by a service provider. “We went through an RFP (request for proposal) process and assessed three service providers, including Fujitsu and Adapt, and picked service provider Adapt’s software-defined datacentre platform based on EMC’s technologies," said Smith. In April 2014, Adapt collaborated with EMC to combine EMC’s datacentre technologies with Adapt’s management and tiered services to optimise customer budgets and outcomes. Adapt became the first service provider in Europe to use key EMC technologies - VPLEX, VNX2, ViPR, XtremIO, EMC Recoverpoint and Storage Resource Management suite - to build the software-defined datacentre platform. “As the first service provider in Europe to fully leverage EMC’s software-defined datacentre platform, we are future-proofing our critical infrastructure services and creating the datacentre of the future,” said Adapt chief executive, Stewart Smythe. 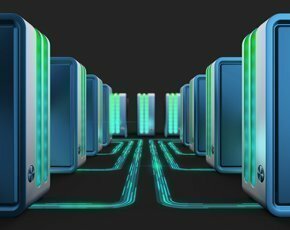 A software-defined datacentre is an IT facility where the elements of the infrastructure – networking, storage, CPU and security – are virtualised and delivered as a service. The provisioning and operation of the whole infrastructure is automated by software. It can bring a high degree of agility, automation and flexibility to the infrastructure. Greencore’s IT team picked Office 365 suite as its cloud-based collaboration tool. The new IT estate, including the cloud and the software-defined datacentre, has been in use for a few months at Greencore, Smith said. “We are already seeing benefits such as 25% datacentre cost savings, scalability and improved business agility,” Smith said. Other outcomes include lower business risk because of managed IT, and improved disaster recovery features. “Out IT architecture is a fully-integrated managed service and has a service-oriented approach,” Smith said. But the benefits do not end there. Smith and his team can predict the increase in operating expenditure during seasonal peaks such as Christmas, because of better IT visibility and DCIM (datacentre infrastructure management tools) used for capacity planning. “We are able to scale quickly during peak business season and scale down later,” Smith said. But why software-defined datacentre and not public cloud services? One of Greencore’s IT requirements was IT support from the service provider. “We wanted the IT provider to be flexible to accommodate our needs during acquisitions as well as offer 24/7 support services, as we have a very lean IT team,” he said.